Composition: 54% poly 44% wool 2% lycra. Wish I'd found them earlier! The quality of their clothing is excellent as is their service. Super quick delivery and a super quick exchange with no quibbles. Forget all these other mens outfitters, Brook Taverner is a real gem! My son is delighted with his new wardrobe and Dad is looking a bit jealous. The loyalty scheme is a huge bonus. 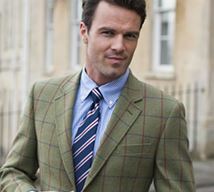 Brook Taverner have provided excellent service. I'm very pleased with the quality of the suit, the way it was packaged and the delivery - I received a text message from the courier with the delivery date with the offer of alternate dates at my convenience. I returned the jacket to exchange a L for an R (as I had underestimated how much I'd look like a small child in his dad's jacket in the L - I blame my tape measure [and possibly being too embarrassed have a friend measure my torso]) and the return was simple and efficient with a pre-paid returns label and a quick turnaround - it was less than 7 days from my returning it to the replacement being delivered. Overall a very satisfying experience - it was as good as I could hope for. Would recommend Brook Taverner to all . Customer Care and order line, brilliant. Since receiving the first piece of clothing from brook taverner I've got bought out by the brand. Beyond the quality of the products, it is the customer service what I value most. The patience and flexibility, while purchasing online we're bound to make mistakes with fitting and sizes and BT have been very accommodating all the way through. Can't fault them. 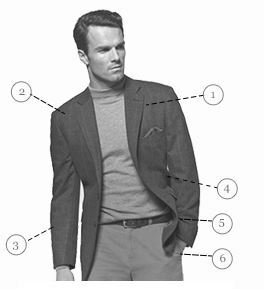 Extremely well made garments, with exceptional tailoring that fit well, look good and feel like a second skin, they fit so well they just feel right. 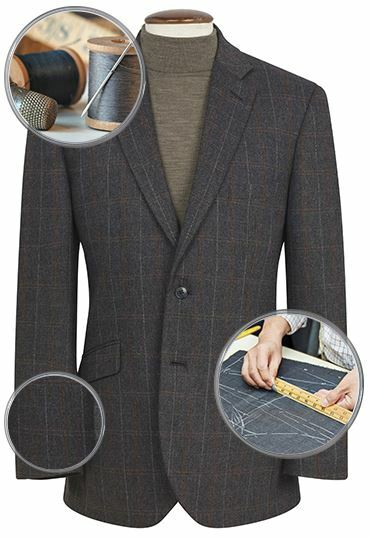 The extra care in finish and details set the clothes from Brook Taverner apart from the competition. Cannot believe how fast it suit came having ordered on a Sunday. Well packaged. Fit is perfect thanks to size guides. 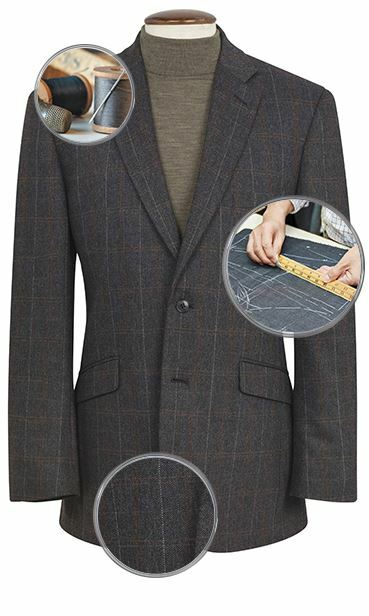 Attention to detail in tailoring. Amazing quality. I look superb in it. 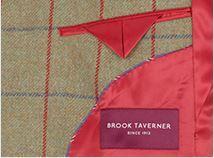 Would recommend Brook Taverner to all . Service first class. Suit excellent. Customer Care and order line, brilliant. Thank you all. Roy McAlister.